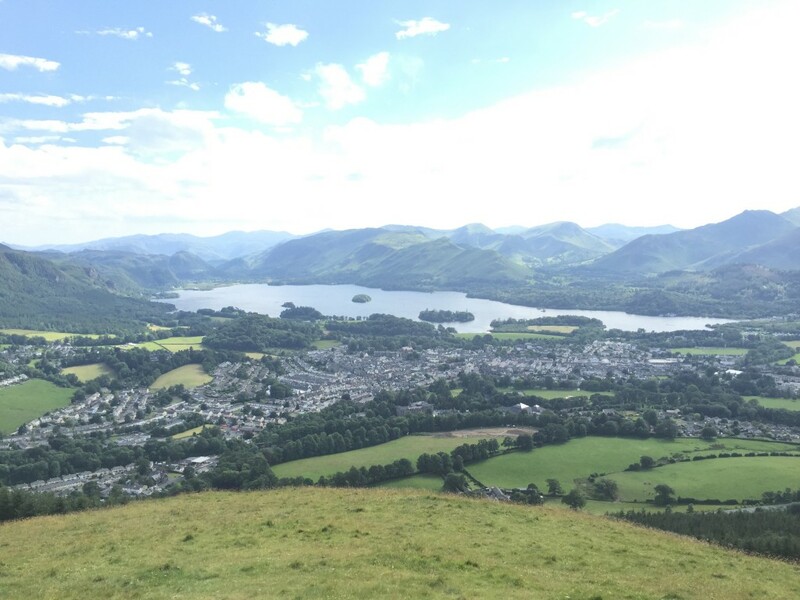 I am in love-with the beautiful little town of Keswick in the northern part of the Lake District. 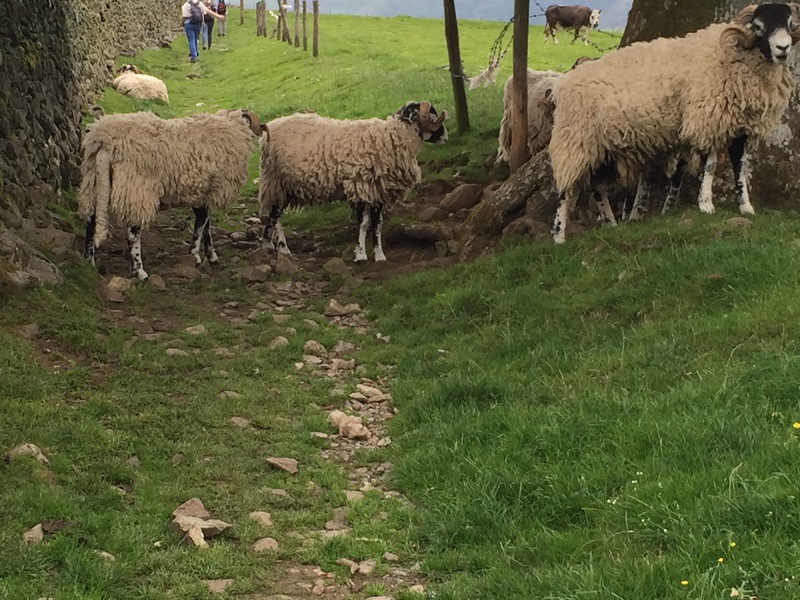 A Scottish friend recommended it for the Lake District part of our trip, and it is perfect. The town is walkable; no destination is more than ten minutes from the center of the city. Every other shop in the city center is a British version of REI, and at least half of the remaining shops sell homemade ice cream. The views are magnificent, the buildings are quaint and flowers grow everywhere. We started our day with a full English breakfast. 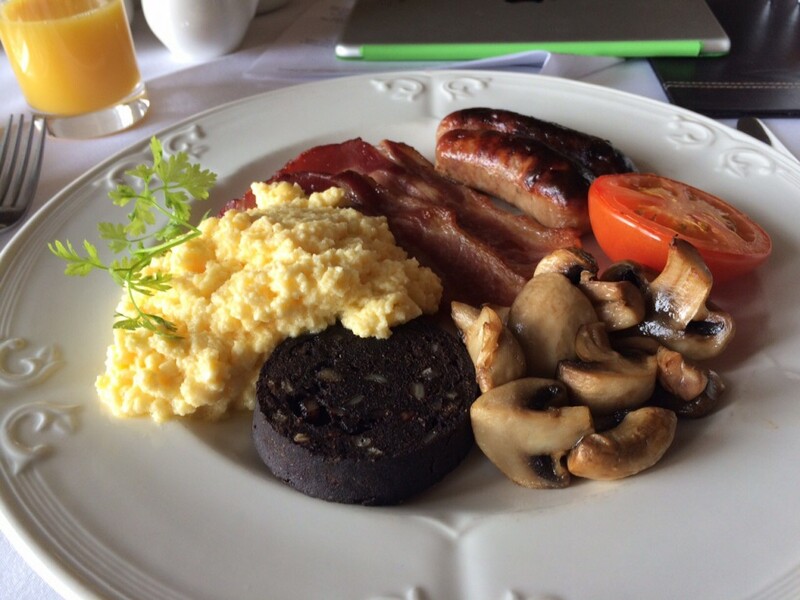 Eggs here are always accompanied by a broiled tomato and the little round dish on the front of the plate is black pudding. Our hearty breakfast served us well today on our three hikes totalling eighteen miles. We got wonderfully detailed hiking maps from the TI and only got slightly lost one time. We didn’t have time for three long hikes, but we wanted to see Derwentwater, so we started with a wee hike along the shores of the beautiful lake. On our second hike we walked more into the countryside. We walked through farmland, but the sheep never seemed to mind our presence. 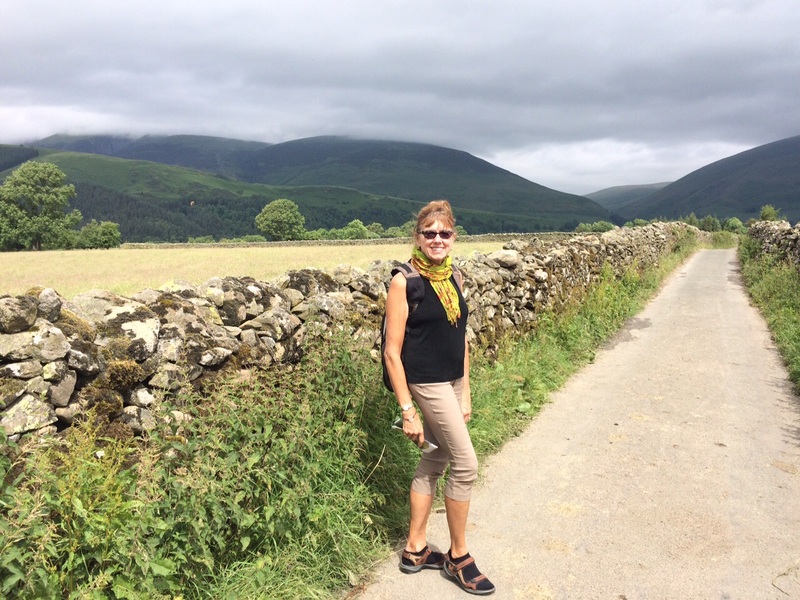 We walked up steep mountain paths and other times on flat walkways by old stone walls. 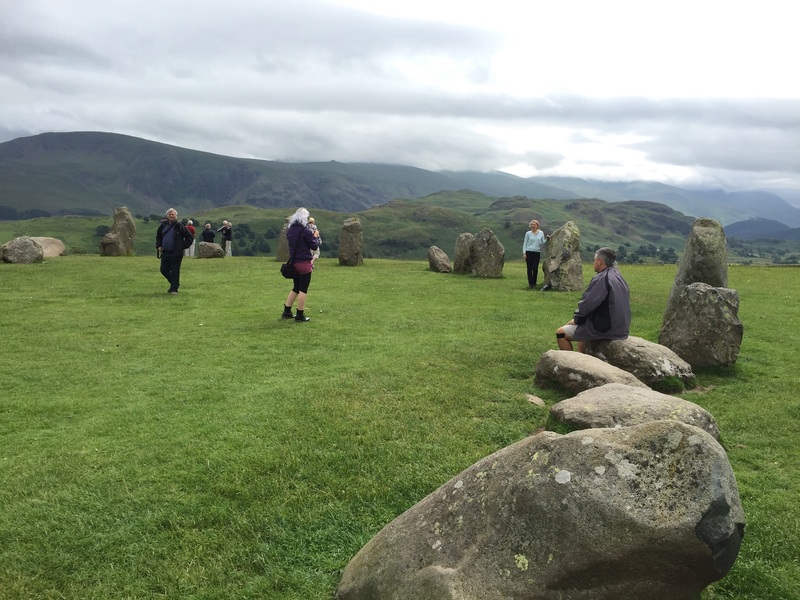 Mid-way through this walk we came to the Castlerigg Stone Circle. The stone circle dates from late-Neolithic times (3,000-2,500 BC), 1,000 years older than Stonehenge. It was interesting to see something so old and mysterious, but I didn’t feel any of the magic promised by the hiking map. 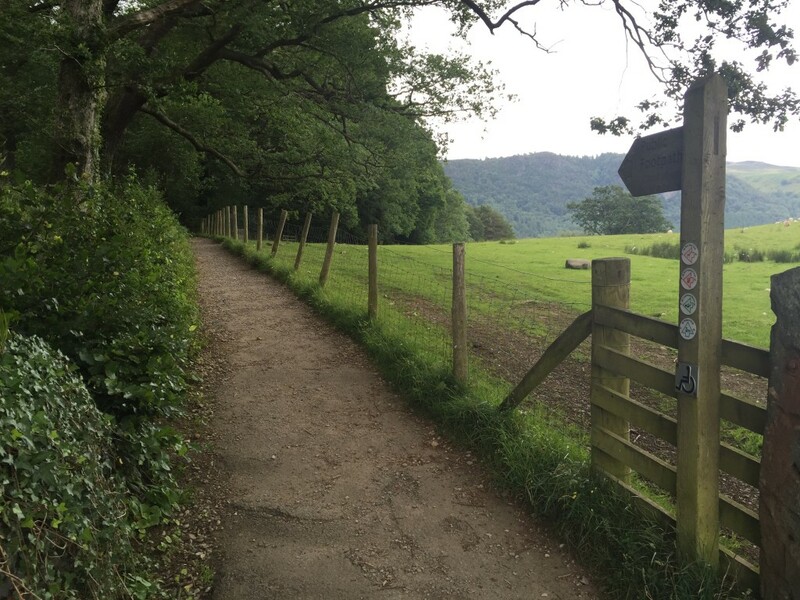 This entry was posted in Great Britain 2015 on July 10, 2015 by debbie.